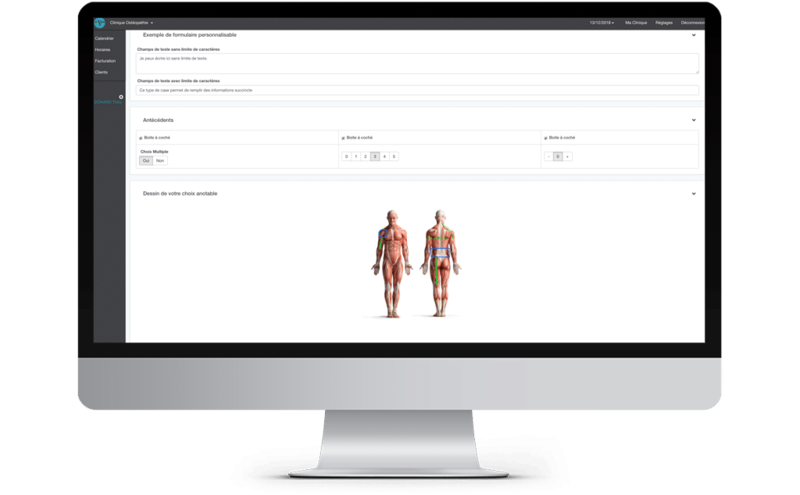 MEDEXA incorporates your forms into the platform. The only change in your practice is the platform on which you take your notes! MEDEXA adapts to your needs, not the other way around! You’ve been adapting your forms to your needs for a long time; they’re the result of your experience and your practice. That’s why MEDEXA has developed a flexible form creator that lets us integrate YOUR personalized forms. We optimize your personalized forms thanks to the introduction of intuitive elements (checkboxes, multiple choice, text fields, tables, and drawings) that let you optimize your time when taking notes. During your consultation, we summarize your notes so that you can quickly access the information entered during previous consultations. 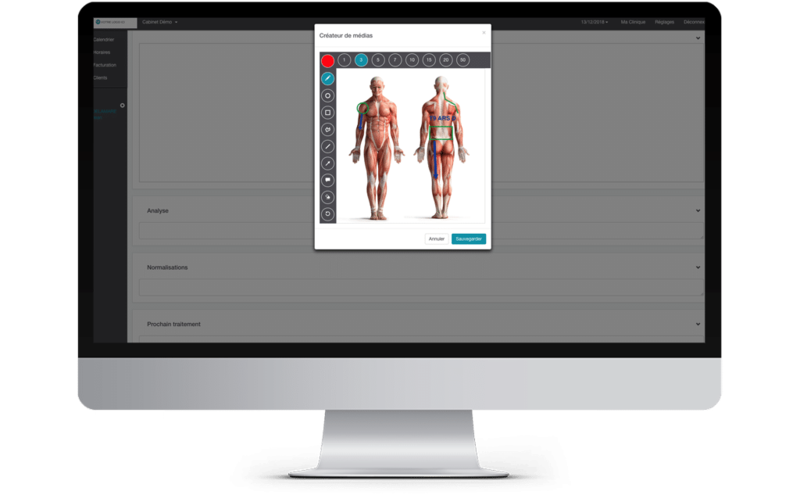 You’ll benefit from powerful tools for annotating, drawing, and measuring via specific diagrams as well as photos taken of your patients. You can also take videos or composed notes. 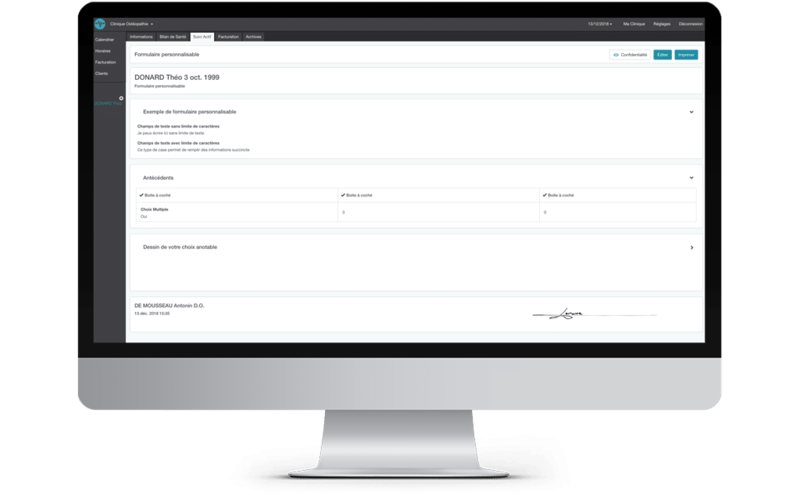 Everything is saved and stored in Medexa and automatically added to the electronic patient record. MEDEXA manages the electronic signature of your notes. When a note has been saved, MEDEXA considers it incomplete, which lets you finish it later. Once finished, you can then complete it and the system will validate your identity before applying your electronic signature. MEDEXA also manages the versions of your notes, which enables you to modify them while remaining compliant with your professional order.